It is with great pleasure that Camvista can announce our newest project – introducing video technology to Scottish Football. In a bid to ease pressure from the match officials and to prevent any more dubious decisions which could effect the overall result of a match, Camvista are working closely with Scottish Football representatives to introduce real time video technology for The Beautiful Game. The trials have been on going throughout the current season (13/14) and have been extremely successful. However, no real time and in-play decisions have been made as of yet but with the current success of these trials, Camvista are confident that this could be the start of a revolutionary change in Scottish Football. Camvista have been working extremely closely with Scottish Championship side Cowdenbeath Football Club – The Blue Brazil – where all of the trials have been on going. UEFA, FIFA and Football Associations from all over the world have been monitoring and watching the LIVE progress of these trials eagerly and are extremely happy with the results of the test which we have been conducting. One of the cameras that is being used for these trials is available for public viewing and there is even discussions of allowing the users that are watching to even judge the referees and linesman’s decisions. 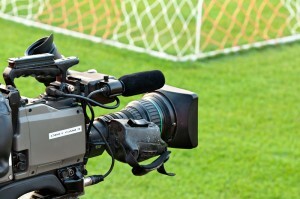 The camera is available to view on Camvistas sister site – MyLiveStreams.com. 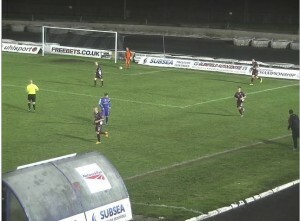 Check out the latest live streaming, real time camera views from Central Park, home to Cowdenbeath Football Club and take part in the first Football Video Technology Trials in the world.